Hour of the Cybermen by Andrew Smith is a story that I really wanted to like. It features a lot of my favourite things in Doctor who, 80s Cybermen, UNIT, and the 6th Doctor (who I have developed an appreciation for because of Big Finish). As someone who tends to dip in and out of the monthly range I have some gaps in the continuing story. I often do a bit of checking to see if it is part of the overall story like with Black and White and the whole Hex storyline. However I just saw 80s Cybermen and bought it without thinking. Iron Bright by Chris Chapman is a story of two halves which is appropriate considering we’re currently in the middle of the world cup. The story is, at the start, what appears to be little more than an excuse for the Doctor to meet Isambard Kingdom Brunel, one of his personal heroes, but develops into a more complex tale as the story progresses. On the 10th May 2008 the BBC aired an episode of Doctor Who called ‘The Doctor’s Daughter’ now over ten years later we have a sequel. Big Finish released Jenny – The Doctor’s Daughter on the 5th June 2018. The box set of 4 stories features Georgia Tennant returning to her role of Jenny alongside Sean Biggerstaff in the role of Noah her companion. Having just finished listening to it I have to say that the box set was slightly different from what I had expected. To be fair I did not know what I was expecting but here we are. 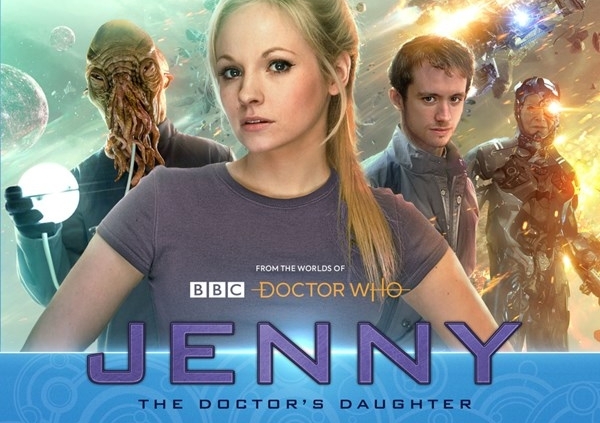 I have recently been listening to Dark Eyes and have just finished Doom Coalition 3 so my expectation of Big Finish stories are a touch more serious and a touch more epic than Jenny – The Doctor’s Daughter so for me the shift in tone is a little odd but not unwelcome.